when the Father in perfect silence opens their eyes. Their condition asks if it is time for them to “be”? Then they one by one wake up, and become birds. They manifest themselves as birds, beginning to sing. Presently they will be fully themselves, and will even fly. as it did on the first morning that ever was. at that blind sweet point. We face our mornings as men of undaunted purpose. We know the time and we dictate the terms. We know what time it is. So they wake: first the catbirds and cardinals. Later the song sparrows and the wrens. Last of all the doves and the crows. cooking. Electric shavers filling radios with static. “Wisdom,” cries the dawn deacon, but we do not attend. 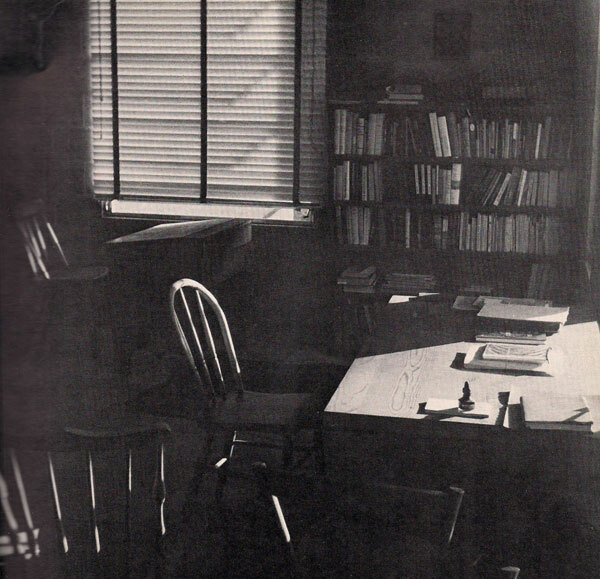 Thomas Merton wrote this in the early 1960s (Conjectures of a Guilty Bystander, pp 131-32), when indeed there were radios in every home and electric shavers did create static in those radios. Long-play records have made a comeback – they call them vinyl now – so perhaps radios too will come back. We live in a retro age. But the more important things reflected in this meditation will not come back. 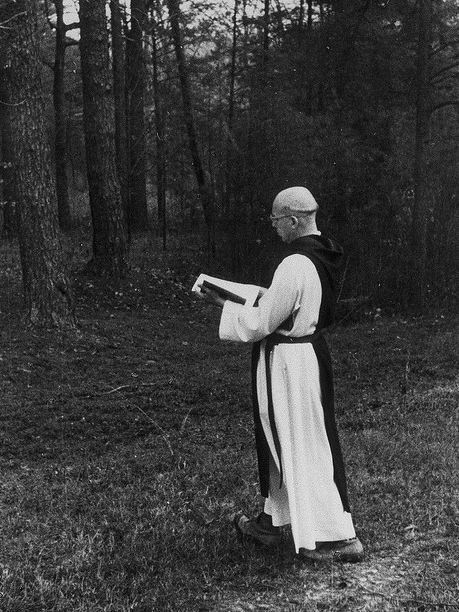 The silence of the morning that Merton experienced in his Kentucky hermitage is not ours to experience. The new creation that takes place every morning in the depths of nature are beyond our understanding. And yet, we can be like those birds. We can wake up each morning and ask permission from God “to be”! God’s answer will always be “Yes” to that question. As we get older many of us wake up each morning grateful to be alive. Don’t stop there. Ask permission from God to be! To become a new creation each day! Nothing pleases our heavenly Father than to see us rise each morning and become more fully human than we were when we went to sleep the night before. “Wisdom, let us attend,” our Liturgy also calls out several times. There is wisdom here. There is wisdom all around us. Sophia! 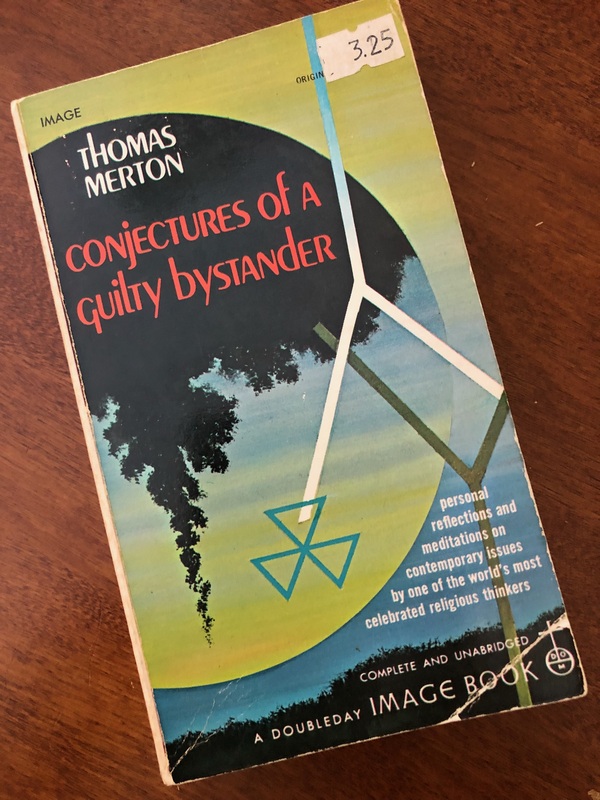 Categories: Sermons | Tags: Conjectures of a Guilty Bystander, Let us attend, new creation daily, our separation from nature, Thomas Merton, Wisdom | Permalink. I wanted to come back to this and have done so. A poem emerged from the first few lines, which I am about to post. Thank you so much for sharing these beautiful words by Merton. I think Merton put it better, but he inspired me! It is beautiful, and worthy of Merton’s meditation on the daily dawn of consciousness and creation.